I sometimes think about my earliest memories--the circumstances, the people, the sensorial aspects--essentially, those little details that remain in your brain forever. 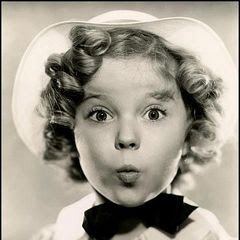 Aside from peering over the edge of my sister's bassinet a month shy of my third birthday, several of my most vivid memories involve a tap dancing Shirley Temple. I remember watching her films on the tiny television in our den over and over and over again. The Little Princess was my favorite. I sensed her magnetism; her ability to sparkle and shine and completely steal your heart. I wanted to be Shirley Temple. She was brilliant and hilarious and cute as a button. A true performer in every sense of the word. I no longer have the desire to achieve stage fame like I once did (and boy, did I desire it badly), but I often think fondly about the little girl who ignited those childhood dreams in the first place. Feel like a pick me up? 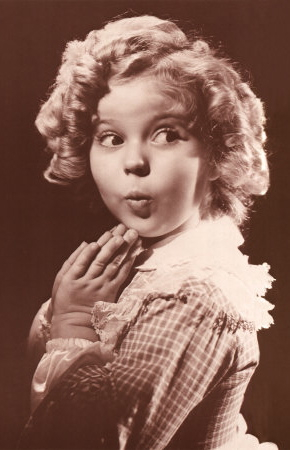 Watch this clip of America's original sweetheart singing Animal Crackers in My Soup. Or, print out that top image and hang it next to your desk like I did. I smile every time I see it. Isn't it wonderful the joy that some of our childhood memories can bring. I was enchanted by theatres as a child - I had a wooden one that I used to make sets for and would play with it for hours. So much fun! So darling! I'm a sucker for animal crackers in my soup! I was also big on Disney's Cinderella when I was growing up, so "Got to hurry, got to hurry" has a similar effect on me! Love this post! 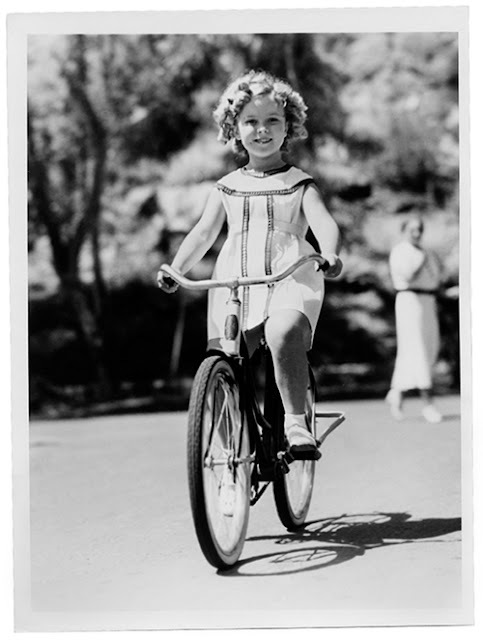 I was a huge fan of the old black and white movies when I was a little girl, and I adored Shirley Temple. I used to watch her movies on PBS on a teeny little tv in my bedroom late at night. Animal Crackers is awesome. Will, me too. I loved my wooden theater almost as much as the real thing. Erin, sounds exactly like a lot of my nights! And thank you so much for your comment...your blog is darling and I can't wait to explore more. Linda, oh man, me too. with jelly shoes and side ponies? i love shirley temple! it's my favorite beverage! i got the canon rebel t2i and i LOVE it. get it get it get it! Oh Shirley. I love Little Miss Temple. I watched all her movies constantly with my grandma. Did you ever see the one where she was a teenager? I think its 'the bachelor and the bobby-soxer'? I loved seeing her more grown up and she was still so adorable. I am still a huge sucker for a good Shirley movie.